At the end of July this year we held an event for our Arms Length Bodies (ALBs) to playback what happened during our pipeline assurance Discovery (you can read more about the aims of the Discovery in this blog post). We talked with our health community about the work of our pilot ALBs, what we learned through the process and what our plans are for rolling out pipeline across the community in the coming months. The session started with colleagues from both Public Health England (PHE) and Care Quality Commission (CQC) describing the work they’ve been doing during the pilot and how pipeline was working in their organisations. They shared both some of the best practice they’ve developed, the general approach they’ve taken, as well as describing the reality of implementing the approach in their respective organisations. What was interesting, was that both these organisation are going through digital transformations and have used that as an opportunity to begin embedding a pipeline approach to assurance. I then talked about the work more generally; providing an overview of the Discovery and plans for what we do next. One of the first lessons that came out of the Discovery was that the Health space is different. Unlike a lot of departments, the Department of Health and Social Care (DHSC) is very federated. While we do deliver some digital projects from the department, the vast majority of digital and technical development is delivered through our ALBs. That means rather than having a single, departmental pipeline, we potentially have one for each of our 14 ALBs. That presents challenges around allocating time for boards and also how each of those individual pipelines feeds into a single, health pipeline and Joint Assurance Review Board. 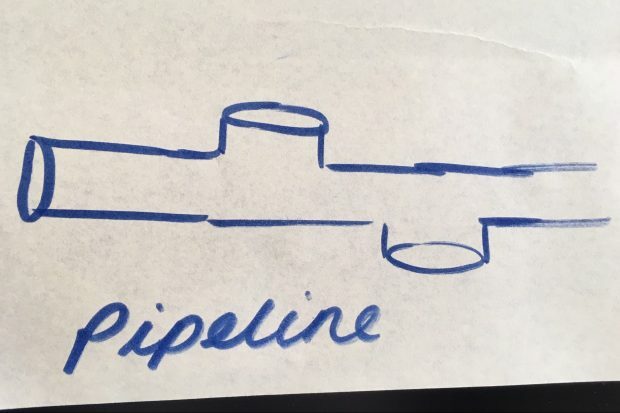 I think the other lesson learned through the Discovery is that pipeline is actually hard to get right. It takes time, iterations and some false starts. Initially pipeline sounds like all you need is a spreadsheet with your projects on it and some scoring to ensure they’re all ‘assured’ and off you go. The reality, however, is very different. It requires serious consideration of governance. Is the current governance right, if so where is it appropriate for DHSC and Government Digital Services (GDS) to sit in on that governance. If not, what should the new board look like? How and when should self-assessments take place? What are the actions required for projects that are in monitor or control? And, of course, health is federated, so these challenges are multiplied across different organisations. The advantage of treating this initial pilot as a discovery meant we could treat this as a bit of an experiment, and work with PHE and CQC to begin testing what would and wouldn’t work. We can then take that learning to our next cohort of ALBs and hopefully pick up the pace of implementation. What was interesting, was despite treating this small pilot of implementing pipeline as a discovery, it wasn’t really a discovery. Discoveries, Alpha etc is a set of terminology and processes I am comfortable with and understand. But, what we were doing with the ALBs was really developing a pilot lifecycle model. The activities we undertook in the pilot were not really discovery activities. In fact, the more I used the terminology of Discoveries, the more confused organisations were in what we wanted to achieve and what they had to do. Indeed, by thinking about it more like a pilot lifecycle, I could be much clearer on what the activities were that ALBs would need to do at each stage of the lifecycle. It also meant ALBs could be at different stages of the lifecycle and be clear what they would need to be thinking about next - both in terms of activities and outputs. So, for example, in order for an organisation to come onto pipeline there needs to be the ability to build a pipeline (i.e. have sight of 12-18 months of digital and technology projects) and have an appropriate governance structure, or the appetite/ability to put in place the right governance. 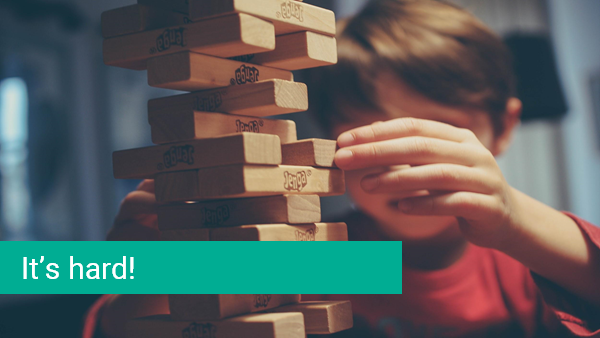 These are a couple of examples of what it might mean for an organisation to be ‘ready’ to begin working using the pipeline approach to assurance. The lifecycle approach also enables us in DHSC to be very clear about what being ready to adopt a pipeline approach means. So, we can ensure they have the basics in place before expending energy on implementing pipeline. What’s next in the pilot? Following the initial phase of the pilot, we’re now speaking to other ALBs in our community to bring on another small cohort to begin the journey. My hope is that as we learn from our initial cohort, we will learn what works and what doesn’t and build some momentum. Develop best practice, guidance, examples and continue to support in person. Our initial cohort have been developing some great resources and approaches which i want to make sure we capture and share as much as possible (more on this blog hopefully!). What about those that won’t be suitable for pipeline? How do we continue to work with them? Is it a case of spend control forms, or do we have opportunities for other approaches? Drafting the Terms of Reference for the Joint Assurance Review Board (JAR). Thinking about management of pipelines and data sharing - how does DHSC manage the pipelines as a health portfolio? Defining how we support projects and teams when projects are in monitor or control. Focus to date has been on digital, need to also include Technology. Can we start to develop communities of practice around areas such as technical architecture and data? Over the next few months we’ll post more on the blog about progress and the new cohort of ALBs. I’ll also be getting our ALBs to share more about the approaches they’re taking and their experience of pipeline as well.